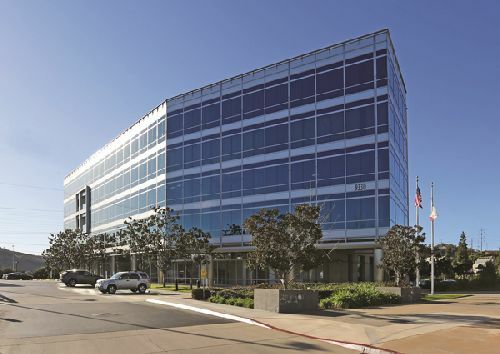 Shorenstein Properties LLC has acquired Sorrento Towers North & South, consisting of two Class A office projects in San Diego totaling 565k sf in four buildings. Prominently located at the intersection of Interstates 5 and 805, Sorrento Towers North & South are situated at the gateway to Sorrento Mesa. First developed in 1989 and renovated in 2014, the North buildings consist of two seven-story structures totaling approximately 286k sf, located at 5355 and 5375 Mira Sorrento Place. Developed in 2001, the South buildings consist of two six-story structures totaling approximately 278k sf, located at 9276 and 9330 Scranton Road. Offering superb freeway visibility and accessibility, Sorrento Towers feature high-image glass exteriors, modern building lobbies and common areas, outdoor lounge areas, modern fitness centers, state-of-the-art conference facilities and structured parking. The buildings are also ideally adjacent to the Sorrento Court (North) and Sorrento Plaza (South) retail centers. Notable companies with a large presence in the area include Qualcomm, Dexcom, Google, Sony, Verizon, TD Ameritrade, Samsung, Thermo Fisher Scientific, Quidel, NuVasive, and Time Warner. Rick Reeder and Brad Tecca with Cushman & Wakefield’s Capital Markets services in San Diego advised Shorenstein on the transaction. The price was not given out.